Review: Mainichi Eikaiwa hires native online English teachers from the UK, Canada, the USA, South Africa, or Australia. You need to have experience of at least 6 months teaching English. All teachers need a college or university degree. Having a TEFL, TESOL, CELTA or another teaching certificate also helps to get hired. You must have a reliable computer and strong internet connection, along with a headset and webcam. Lessons are done via Skype. You do not have to be living in Japan. You need to be available at least 5 days a week and 3 consecutive hours per day. The peak hours are between 18:00 and 24:00 (Japan time). All payments are made through PayPal account on a monthly basis or through a bank account in Japan. Some basic knowledge of Japanese language is appreciated but not necessary. Mainichi Eikaiwa is the leading online English school in Japan. The majority of our students are Japanese students and professionals willing to master English for various purposes. Mainichi Eikaiwa gives each student the very kind of lesson required to improve his skills and achieve his specific goals. Our teachers are all English native speakers mostly from the United States of America, the UK, Australia and Canada. Are you a native English speaker with some experience in teaching English to ESL learners? 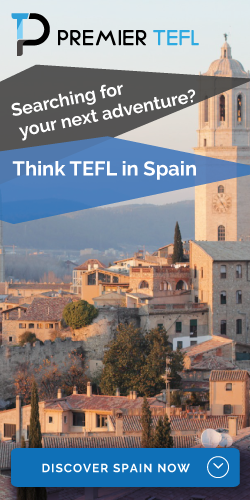 Are you an English teacher looking for a long-term job? If your answer is yes, wherever you are living now, Mainichi Eikaiwa is the right place for you to thrive as an English teacher. Mainichi Eikaiwa is the leading online English school in Japan because we make our teachers happy by providing them with the best teaching environment and remuneration, and our teachers make us and our students happy in return by providing excellent teaching. We are currently looking for some new excellent English teachers. The lessons are done online. If you are looking for a stable teaching job and meet all the following requirements, we would like to hear from you today. 1. Be a native English speaker preferably from the UK, Canada, the USA, South Africa, or Australia. 2. Have an experience of at least 6 months in the field of English teaching. 3. Have a college or university degree. 4. Priority will be given to applicants with a teaching certificate. 5. Have a cheerful personality and be creative. 6. Be able to prepare suitable lessons for each student, based on his or her needs and goals. 7. Have a reliable computer and a good internet connection: lessons are done via skype( a webcam is also required). You do not have to be living in Japan. 8. Be available to work with us at least 5 days a week and 3 consecutive hours per day. Concerning the working hours: we are currently looking for excellent English teachers who are available for 3 consecutive hours between 18:00 and 24:00 (Japan time). Examples : from 18:00 to 21:00, or from 19:00 to 22:00, or from 20:00 to 23:00, or from 21:00 to 24:00 (Japan time). 9. Have a PayPal account to receive your monthly payment or a bank account in Japan. 10. Some basic knowledge of Japanese language is appreciated but not necessary. You will earn 1500 yen for every 50-minute lesson.